This is the home of a beautiful, intelligent and amazing young woman called Alice and her dog Bertie. As well as being intelligent, Alice is also sensitive. She is so sensitive, in fact, that she often sees things that other people do not see because they are busy rushing around and doing other things. Alice enjoys sitting still. She likes to listen, watch and observe the world around her. She listens to the wind in the trees and enjoys feeding the ducks and watching shadows as they dance across a room. In this quiet stillness, Alice has discovered lots of amazing things about the world around her - and especially about how to be kind and loving towards herself in the world. 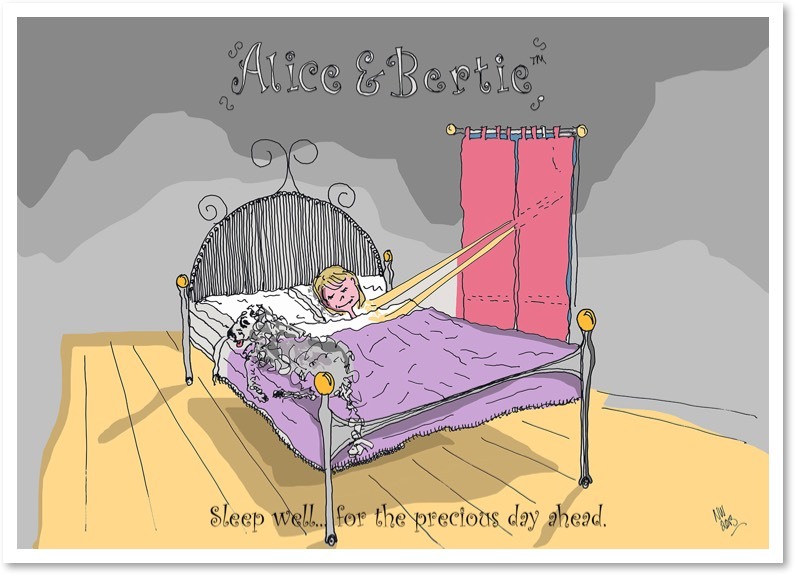 Very soon, Alice & Bertie will be waking-up... and then they would like to share all these wonderful things with you.